Each year you can tell that the Mykonos party season is almost over when Skandinavian Bar holds its closing party. 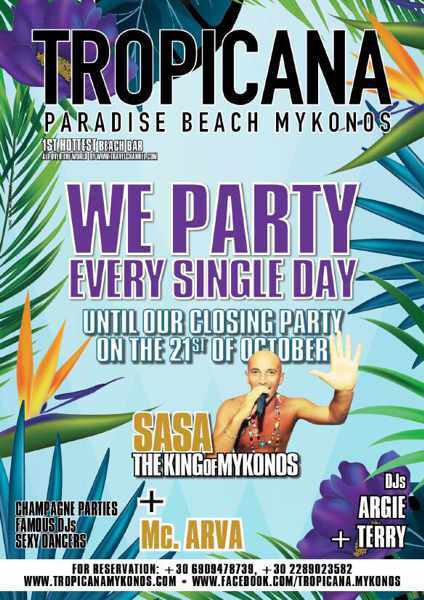 This year it’s on Tuesday October 9. 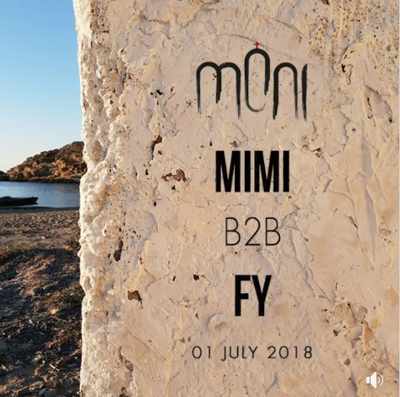 Below is a listing of promotional flyers for parties scheduled to take place on Mykonos during August and September 2018. 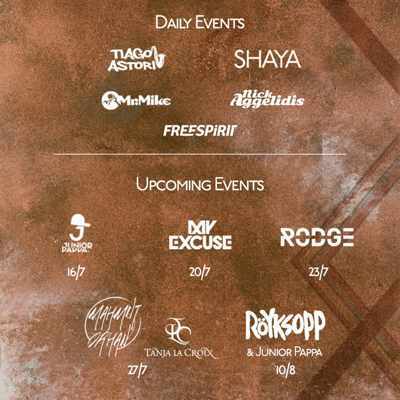 Events will be added to this page when they are announced, so check back for updates. 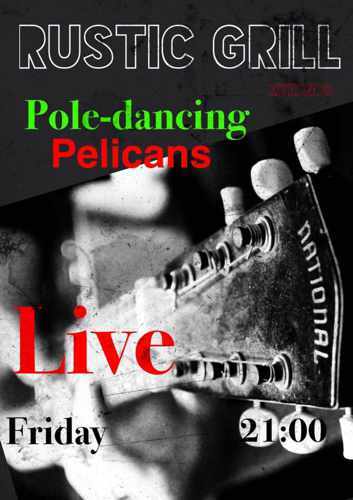 To see party listings for September 2018, click here. 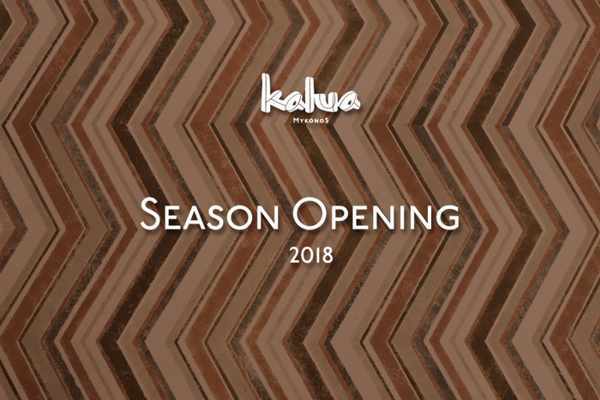 To see events taking place in October and November 2018, click here. 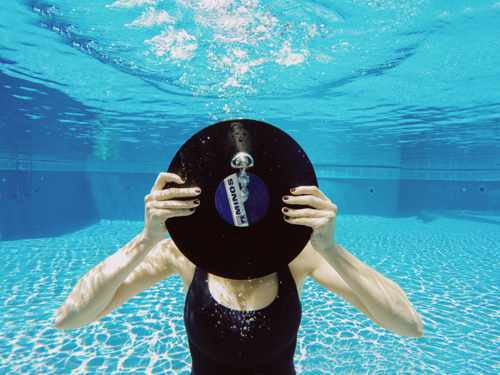 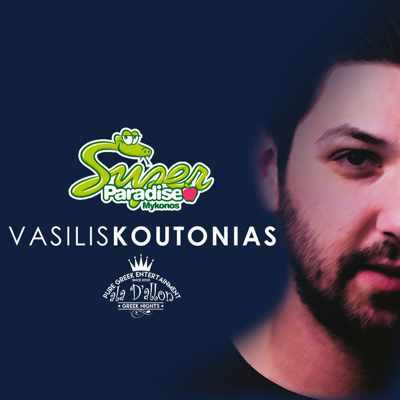 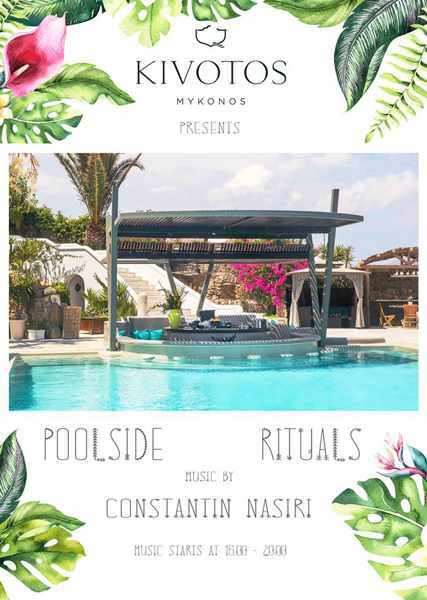 Every day throughout August, Kivotos Hotel at Ornos presents Poolside Rituals, during which DJ / Producer Constantin Nasiri “takes you to an a eclectic ethnic/bohemian musical journey.” The ritual starts at 4 p.m. and runs until 8 p.m.
Alemagou will be hosting more than 10 events during August 2018. 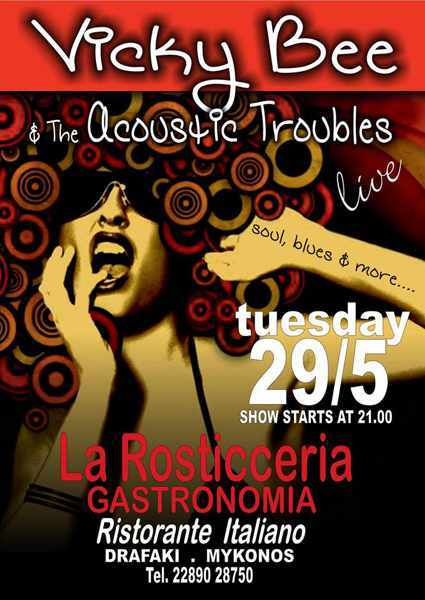 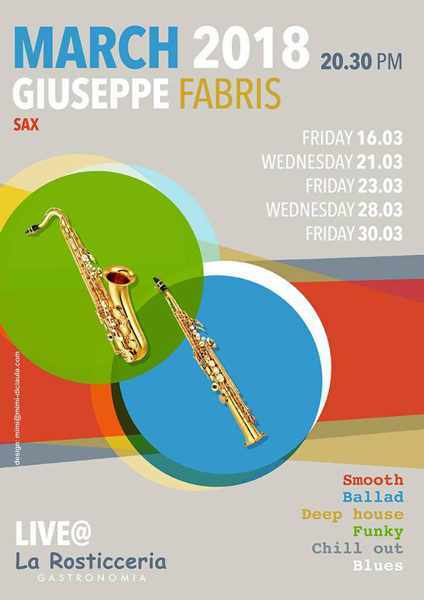 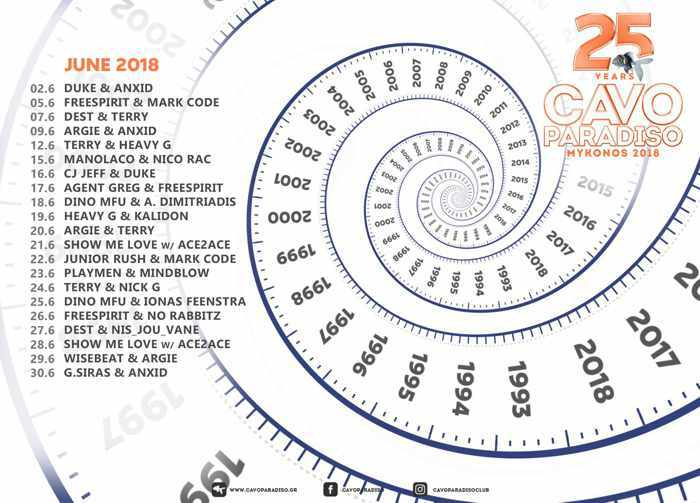 The featured artists and their appearance dates are indicated on the promotional poster shown above. 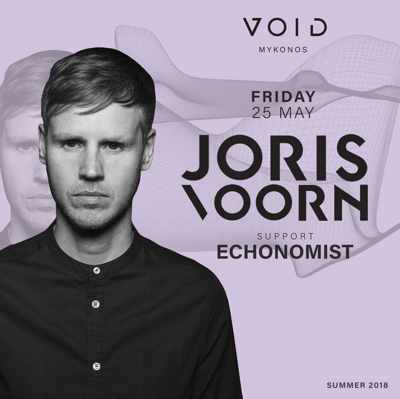 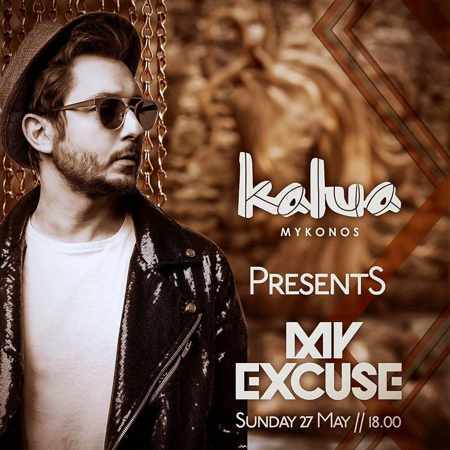 XLSIOR Festival, the biggest annual party event on Mykonos, takes place this year from August 22 to 29 at beach clubs and various venues in Mykonos Town. 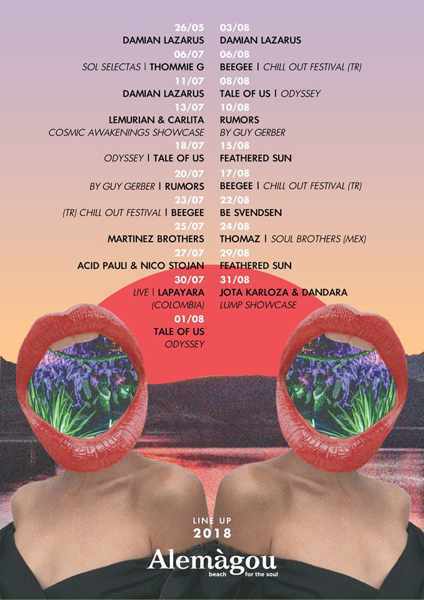 A roster of top international DJs will appear for 11 major events. 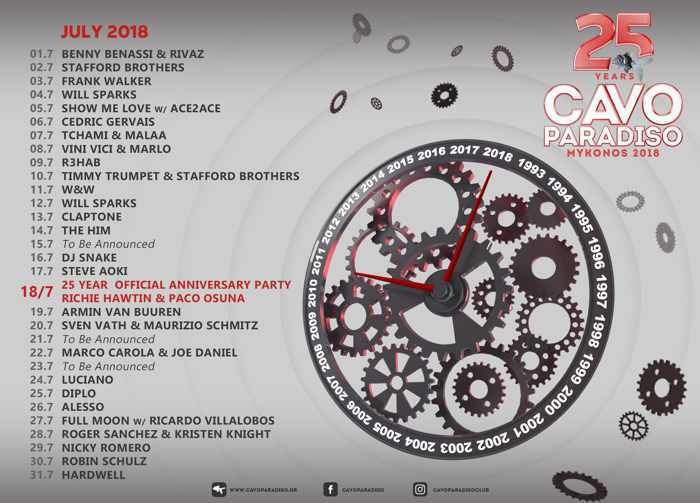 CLICK HERE to see a list of events that take place on either a daily or regularly weekly schedule until the end of August. 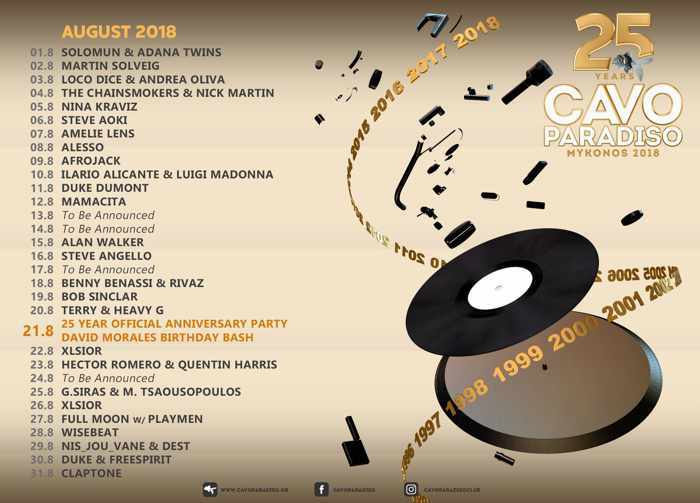 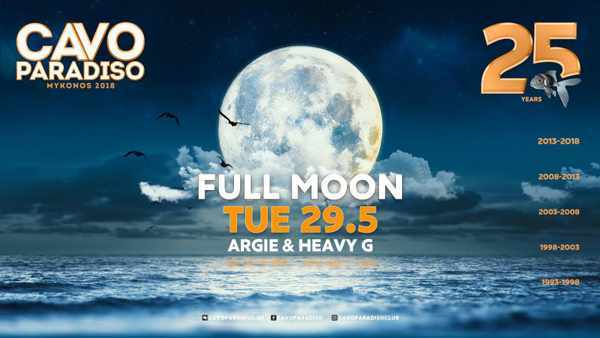 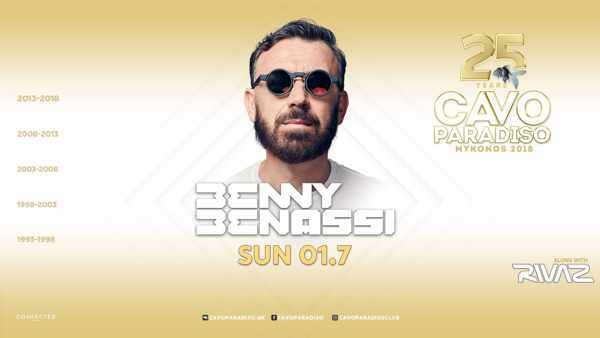 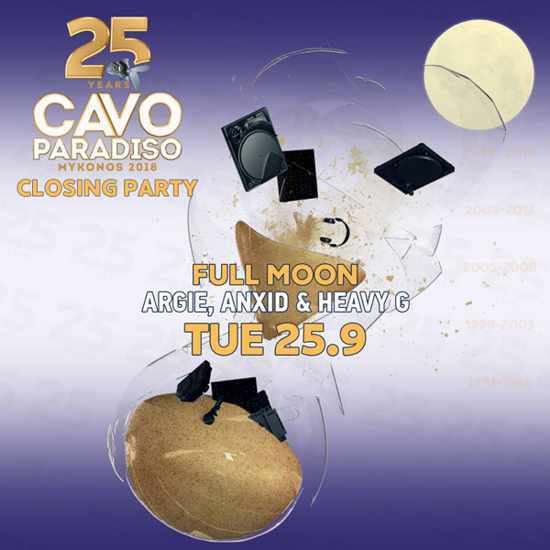 This is the international DJ lineup for June at Cavo Paradiso. 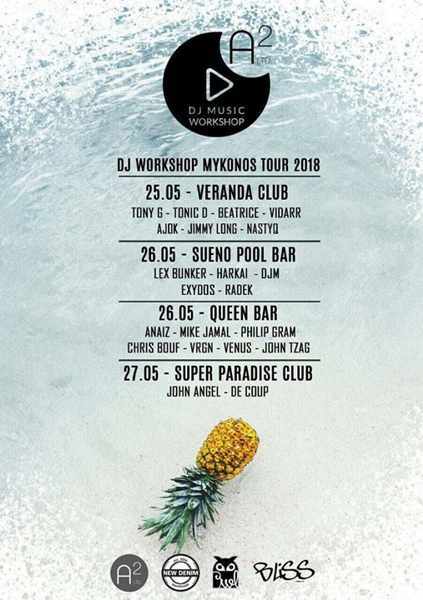 Below are promotion flyers for parties scheduled to take place on Mykonos during May and June 2018. 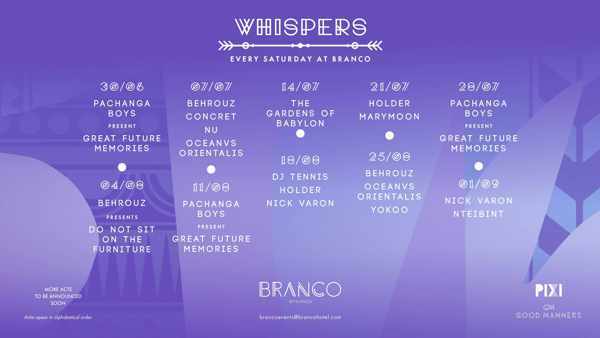 Events will be added to this page when they are announced, so check back for updates. 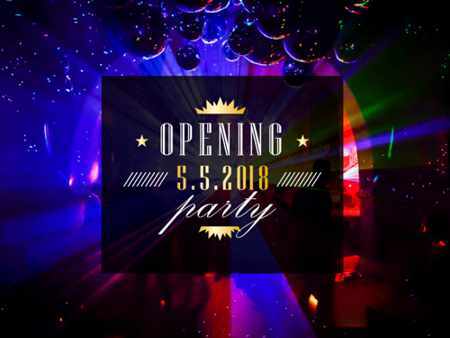 Keep in mind that many parties may not be announced until only a day or two before they take place. 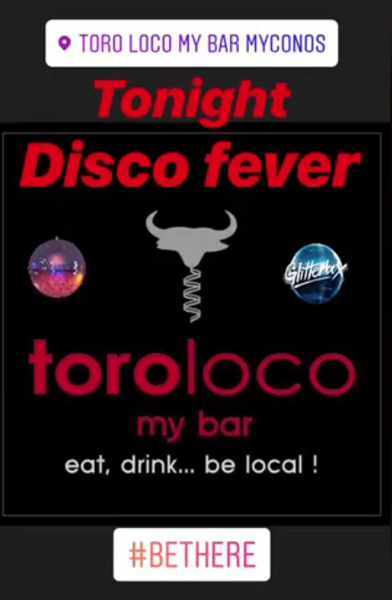 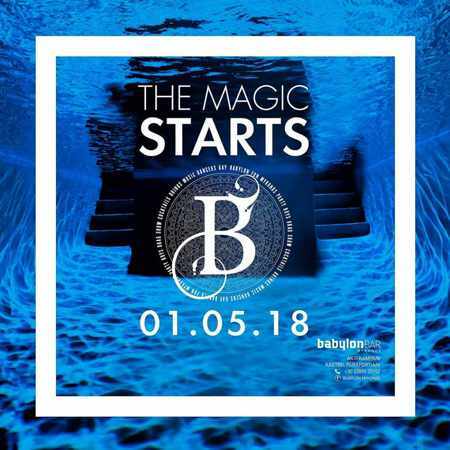 Contact clubs directly to make table reservations or to purchase advance tickets. 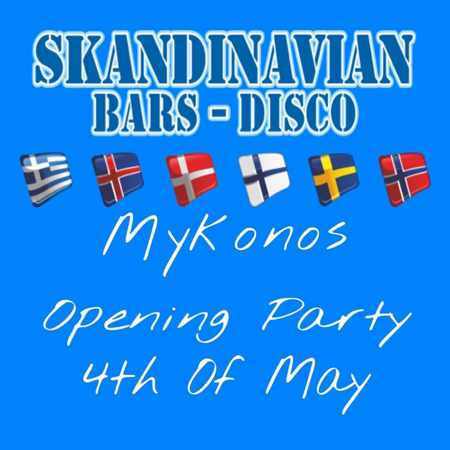 Click here for the list of June parties and events. 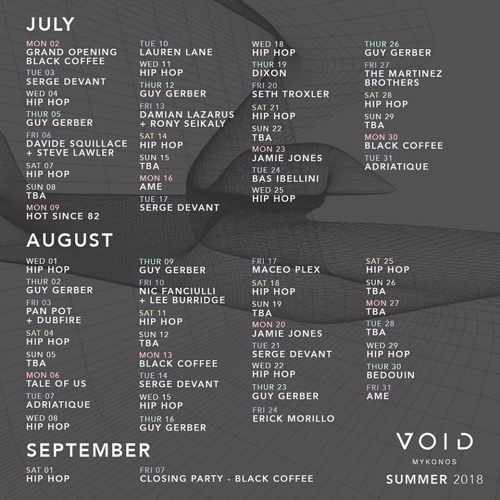 For parties and events taking place in July, click here. 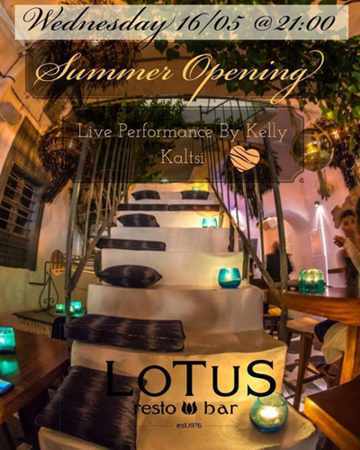 For August and September events, click here. 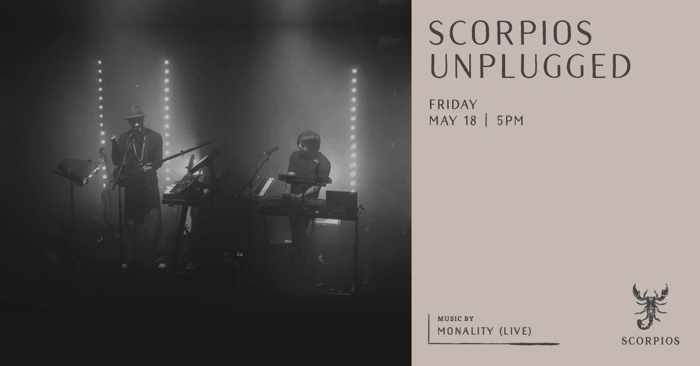 Scorpios Unplugged is the new music ritual that will be held at Scorpios every Friday evening. 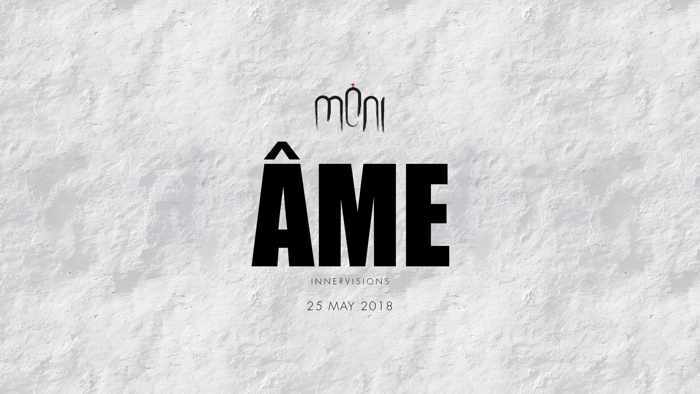 The program makes its 2018 debut on May 18 with live music by Monality. 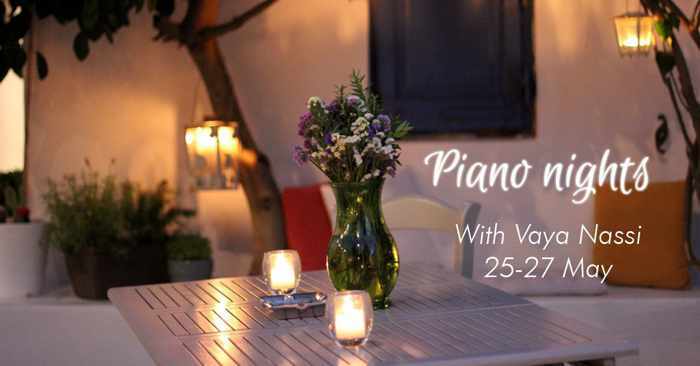 Pianist Vaya Nassi will entertain at Nautilus restaurant on Friday May 25, Saturday May 26 and Sunday May 27. 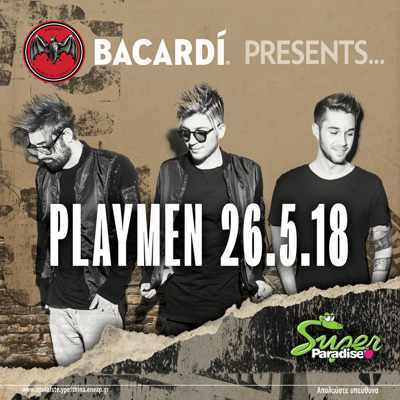 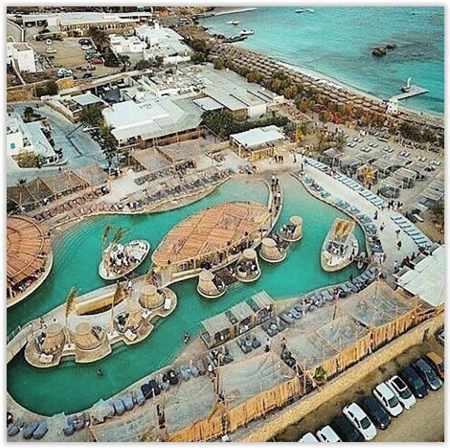 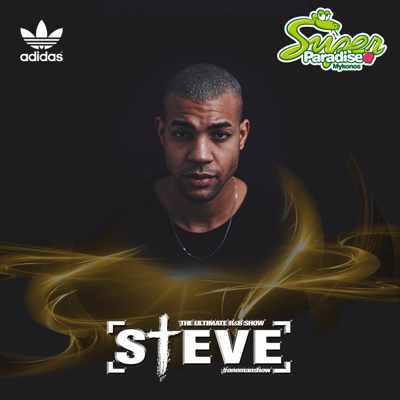 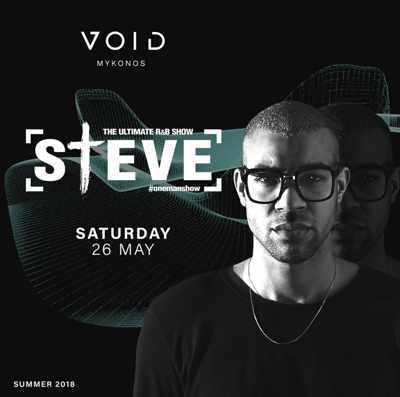 Performances begin at 8 p.m.
Athens-based RnB artist Steve #onemanshow appears for a special performance at Super Paradise beach club on Friday May 25 at 4:30 p.m. 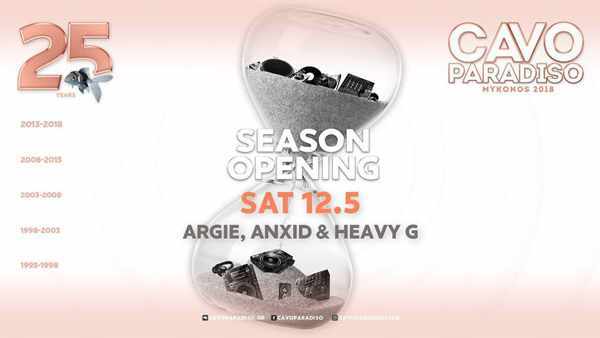 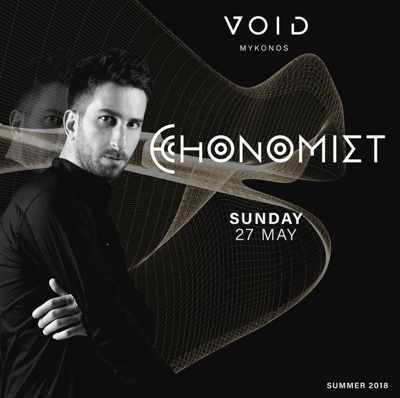 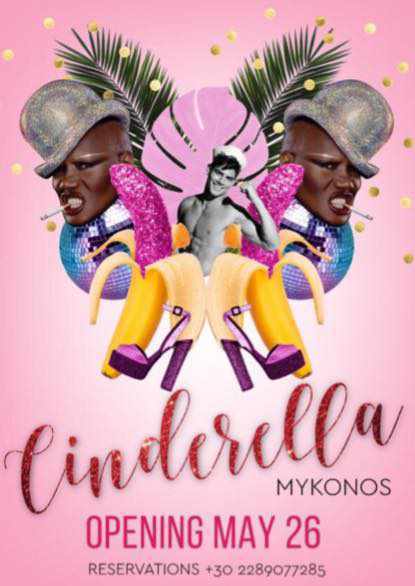 The new Cinderella Mykonos dance club celebrates its grand opening on Saturday May 26. 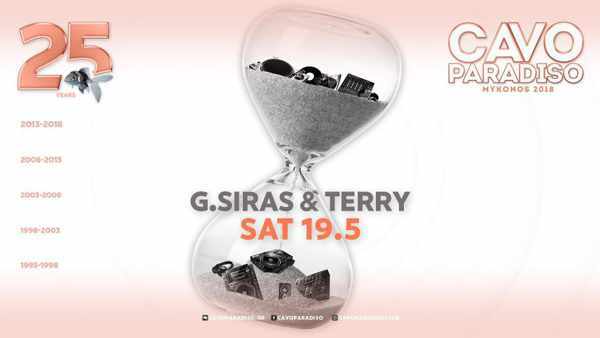 Inspired by the legendary Piero’s bar, a former icon of the Mykonos nightlife party scene, it’s the summer island outpost of the Cinderella club in Athens. 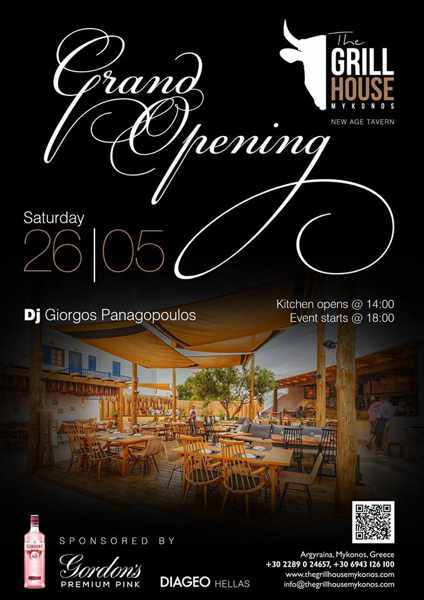 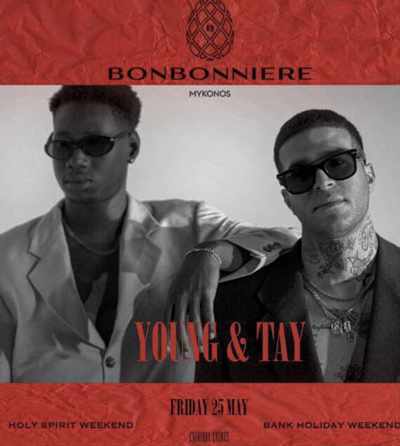 On Saturday May 26, The Grill House Mykonos is throwing a party to celebrate its grand opening. 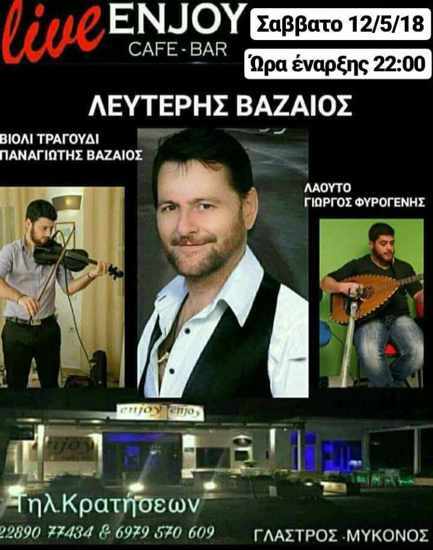 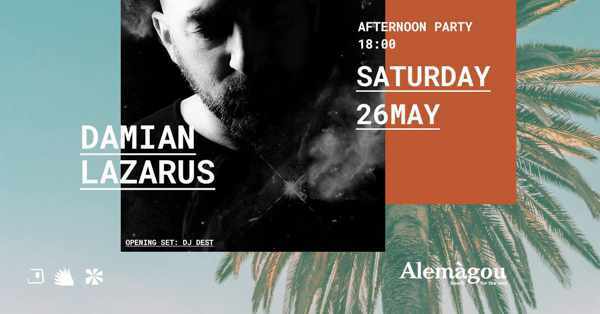 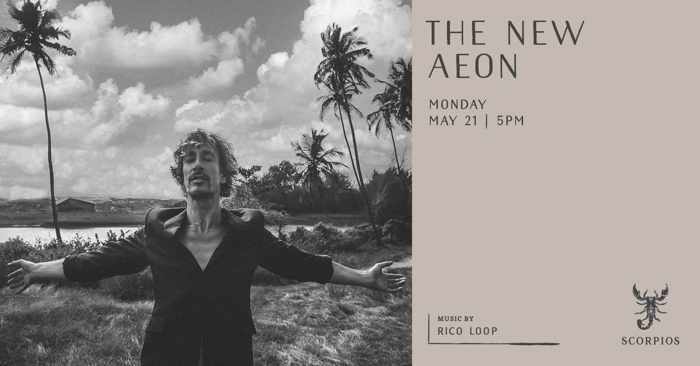 DJ Giorgos Panagopoulos will provide music for the event, which starts at 6 p.m.
Alemagou is holding an afternoon party on Saturday May 26. 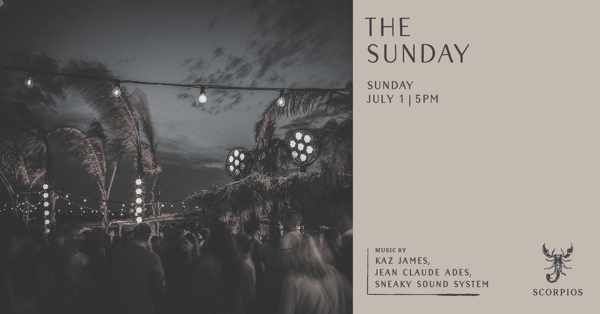 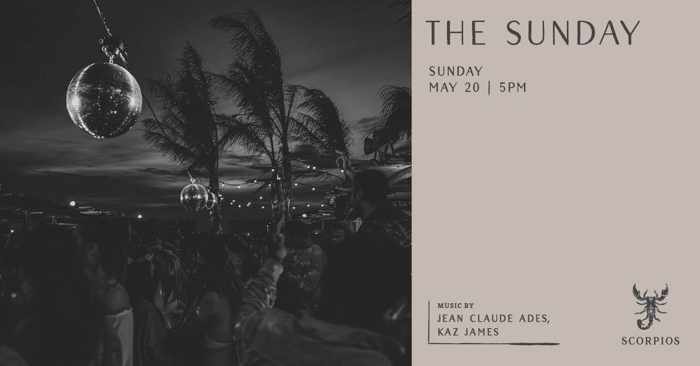 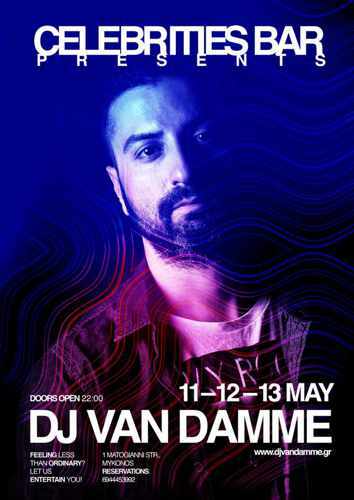 DJ Dest will play the opening set and then, as the sun sets, Damian Lazarus will take over the decks and really get the party going. 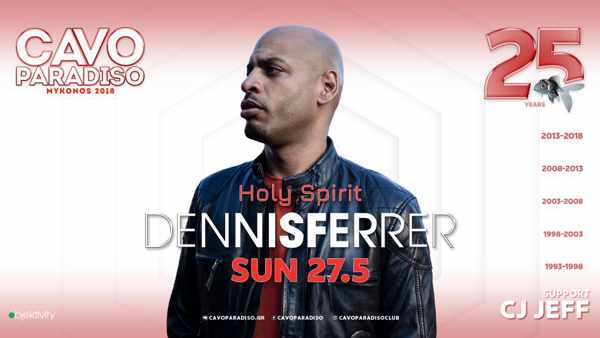 Dennis Ferrer will be on the decks at Cavo Paradiso for the Holy Spirit holiday weekend party on Sunday May 27. 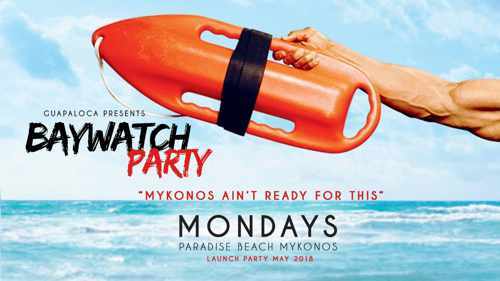 May 28 is the launch date for the new weekly Baywatch Party at Guapaloca, scheduled to take place every Monday starting at 4 p.m. 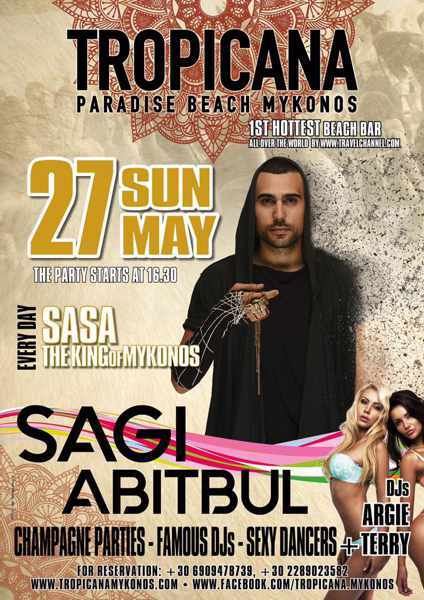 Dress code for the parties is Baywatch red. 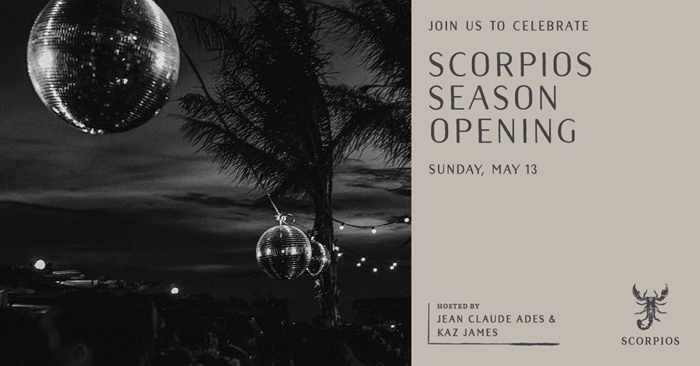 For parties and events in June, click on the link below to turn to page 2. 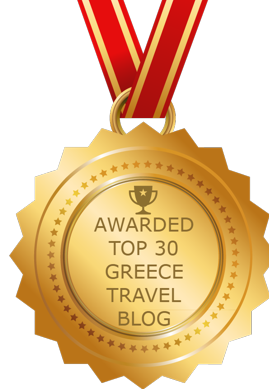 Off-season entertainment: Judging from questions posted to online travel sites, as well as messages I’ve been receiving in recent weeks, there is increasing interest in wintertime travel to Mykonos. 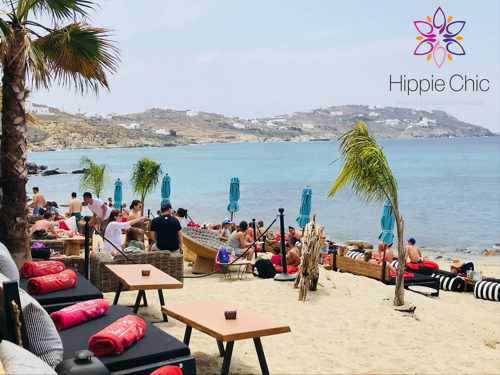 Although most travellers accept that the weather won’t be favourable for beach activities and swimming, and realize that very few tourist-related shops, bars, restaurants and hotels will be open in winter, they seem more concerned about whether there will be any kind of nightlife to keep them occupied after a day of exploring Mykonos Town or taking hikes or drives around the island. 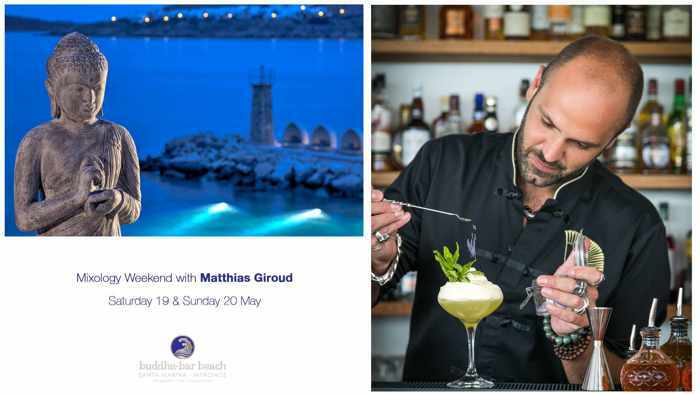 Contrary to what many people believe, there are parties on Mykonos in winter — after all, people who live on the island year-round do like to get out for a good time on occasion, too. 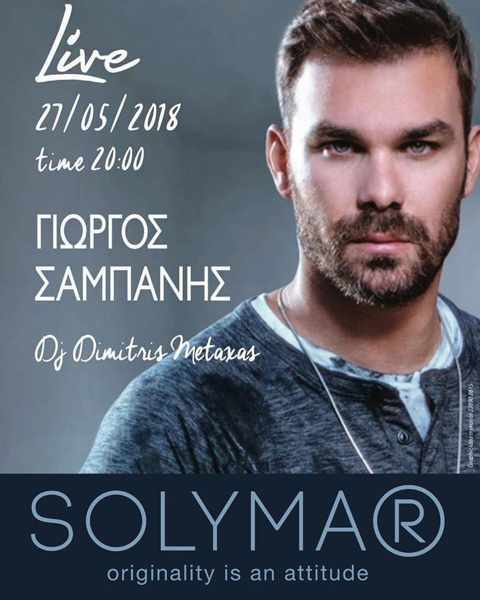 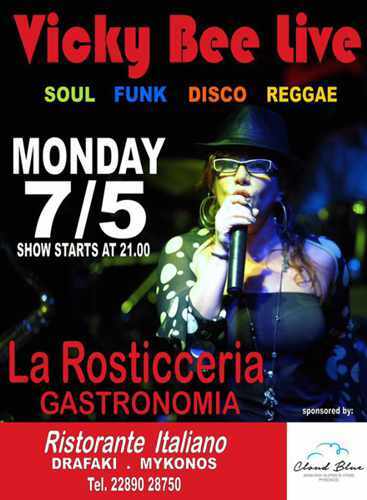 Unlike in summer, however, the winter nightlife is quite low-key, with parties taking place at only a few restaurants, cafes and bars that feature evenings with live Greek singers and bands or music provided by local DJs (many of whom also play at the island’s most popular clubs during the main “party months”of July and August). 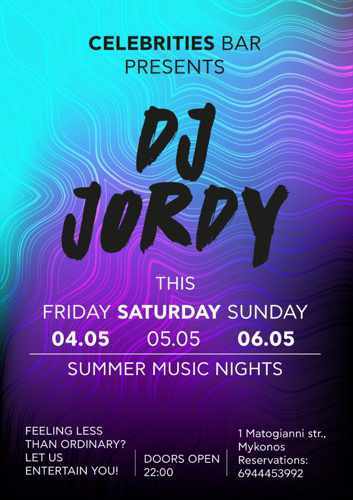 Events generally take place on weekends, typically between Thursday evening and Sunday night. 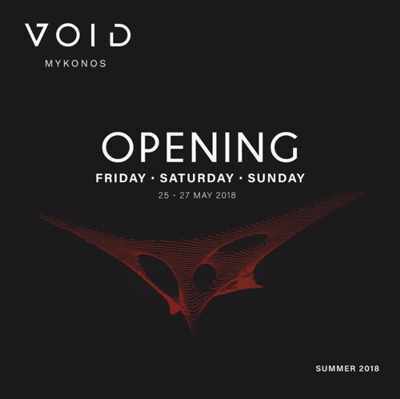 If you might be dropping by Mykonos this winter, check the party listing on page 2 of this post to see if anything special is happening during your travel dates.